Watch the video lesson and get points! 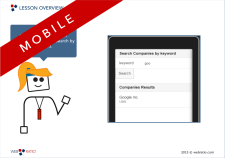 Installing and activating WebRatio Mobile Platform involves several decisions that are not easy to take without proper knowledge. Attend this lesson to understand all the steps and to find some help if something goes wrong. 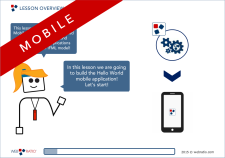 Create your first Hello World Mobile Application with our 3mins tutorial. Follow this beginner guide to find your right way in getting started through the wide offer of options and features. 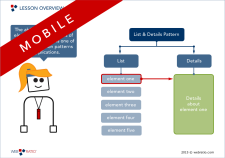 The ability to show a list of elements and the details of each listed element is one of the most common patterns in Applications. 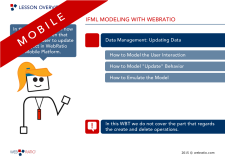 This lesson shows you how to model the List & Details in WebRatio Mobile Platform. 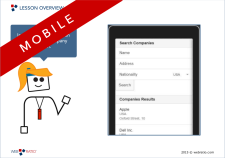 In a mobile application, you often need to manage information that is shown to the user. Managing the information means to create, update, or delete information. 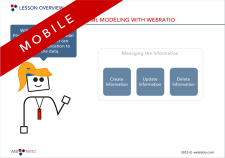 In this lesson you learn how to model a screen that allows the user to create an object in WebRatio Mobile Platform. 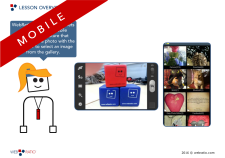 WebRatio Mobile Platform lets you add to your mobile application a feature that allows to take a photo with the camera or to select an image from the gallery. Let's see how to model this integration in your mobile application. 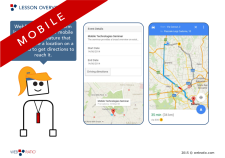 WebRatio Mobile Platform lets you add to your mobile application a feature that allows one to see a location on a map and to get directions to reach it. Let's see how to model this integration in your mobile application. 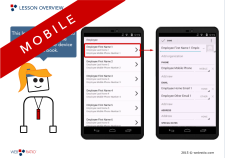 How to debug an Android WebRatio app Read this article and get points! MoreRead this article and get points! 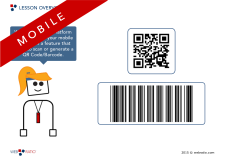 How to debug an iOS WebRatio app Read this article and get points!